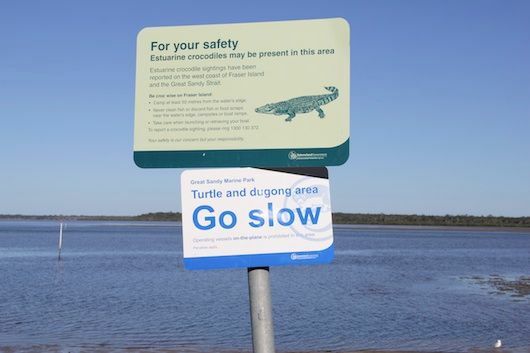 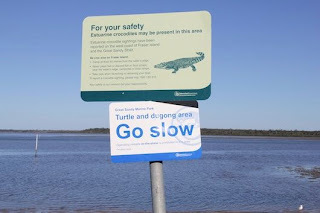 This past week I've been camped in the tiny hamlet of Poona in South East Queensland it's just across the Great Sandy Strait from Fraser Island and is a marine wonderland with fish, turtles, dolphins, mangroves, seagrass pastures, sand crabs, birdlife and dugong.......oh, I nearly forgot, there's a sign warning about crocodiles! The locals tell me they've never seen one so Skye has been allowed to paddle near the water's edge-with me keeping a sharp lookout. 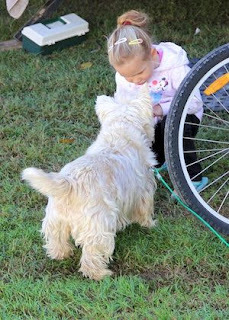 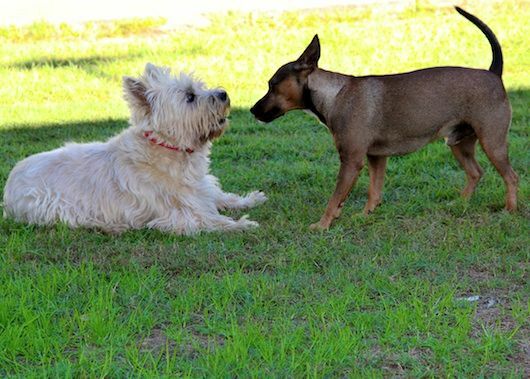 Skye has been having a very sociable time here, there are lots of other doggie friends and for a couple of nights we had a young family parked next to us who came from Bairnsdale - young Cameron and Skye were really delightful together. 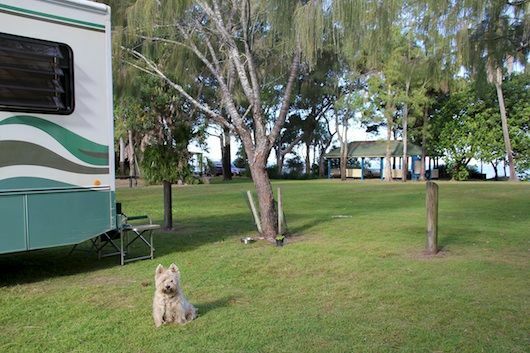 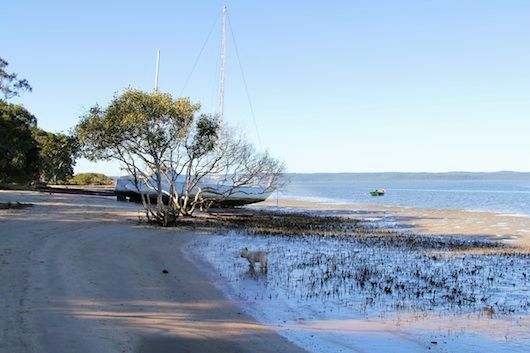 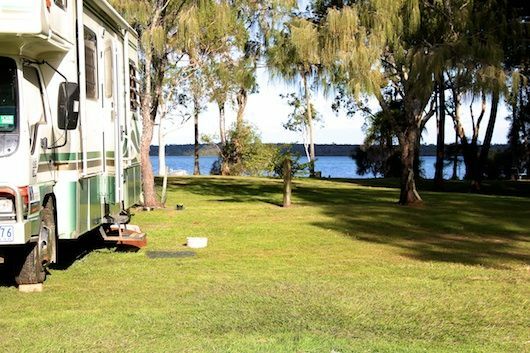 We have a really lovely campsite at Poona Palms Caravan Park - right on the water. 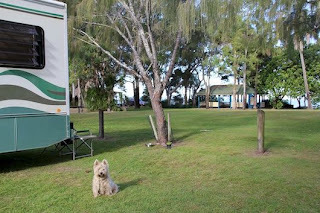 In 2004 when Danni & myself visited this park in our Troopie camper Don & Pauline had just purchased the park and I am happy to say they are still here. 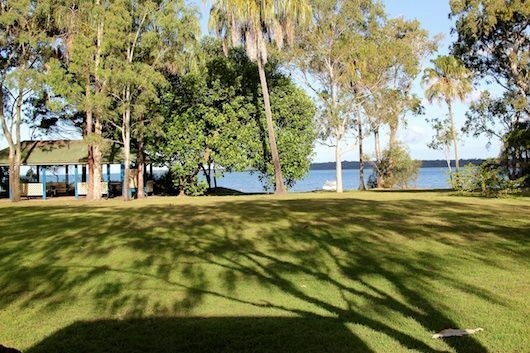 They've continued the tradition of a free sausage sizzle on Saturday nights and during June-August they have reisdent musicians (Rocket & Ally) for happy hour each day, mainly country music but also some bush poetry.